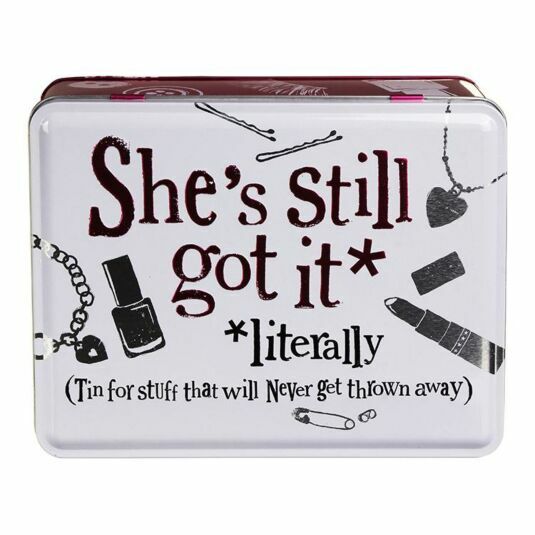 This handy storage tin from Bright Side is perfect solution for stylish ladies who love to horde make-up, trinkets and other bits and pieces that clutter your ever-shrinking desktop or bedside table. 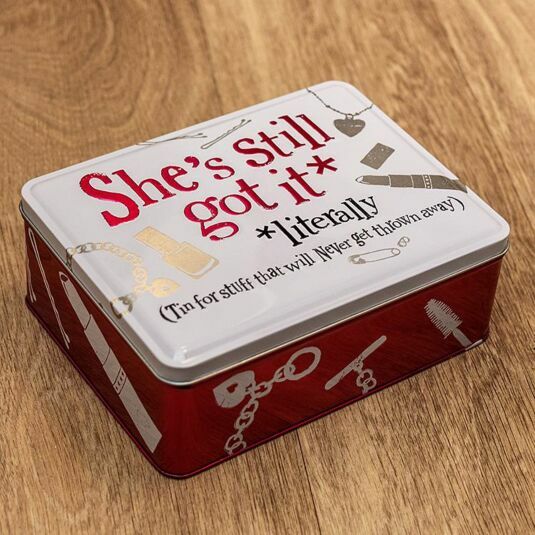 The She’s Still Got It Tin ensures that you will always be able to find all sorts of things that otherwise might have gone missing, thereby proving to your family that not only are you fashionable but you’re also practical and well organised– not necessarily true, but the tin helps to perpetrate the myth! 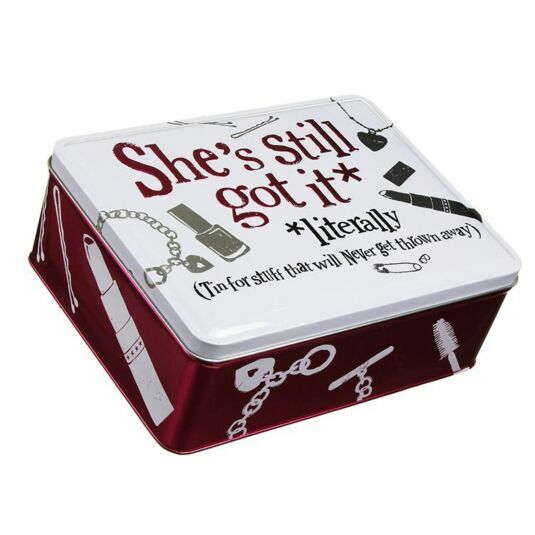 The bottom of the tin is also printed with the words: “A whole heap of Just-in-caseness”.